India is in a very progressive stage at present. Time and again, India is opening up to different markets around the globe. The Indian economy offers a favorable business environment for all companies so that they can make most of their expansion plans by identifying growth opportunities at grass-roots level. The developed nations face the biggest challenges from local players in the market. For a business to maintain its stability and growth in the market, they need to have a unique idea or methodology. Due to this reason it is more viable for businesses to explore international markets. Being a developing nation, Indian market provides a very sustainable environment for any type of business. Economy is at growing stage which will be very favorable for a business to maintain its stability and growth. Many of the cities in India have population of more than 80 lakhs; these cities need businesses to support the livelihood. In the upcoming years, India will be the host for some of the major infrastructural plans which will help in creating new business environment for different sectors. Foreign Direct Investment (FDI) has been at its peak from the last 5-10 years. This is due to the liberal and global policies framed by the Indian Government. These policies have been encouraging for global investors and also for Indian businessmen. Providing finance to entrepreneurs is the best way of motivation. 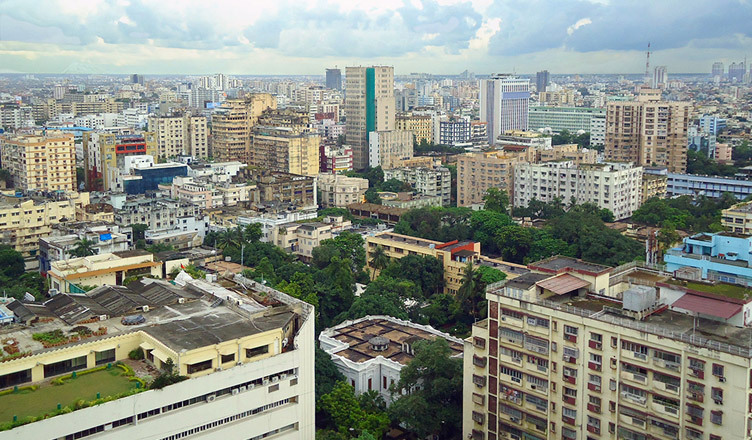 According to reports, Mumbai is said to become the biggest market hub for many businesses. Indian market and government policies make it very easy for a business enthusiast to start one’s endeavor of setting up a company. The Government of India has been playing an important role in providing great deal of help to entrepreneurs by easing the mode of starting business – through business-friendly laws, reducing the procedures for registration, and liberalizing the market. The number of procedures has also been halved from 12 to only 6. So now it takes only 6 days, as oppose to 26 days, to start a business in India. When it comes to cost of basic amenities like labour, food, electricity and infrastructure, it is much more affordable in India when compared to developed countries. Most of the MNCs like Ford Motors have set up a manufacturing unit in India not only to tap advantage of large markets it provides but also the lower cost of production. Skilled low-cost labor is also one of the economic reasons. For many years the youth of India have been chasing employment and have been in the search of a 9-to-5 job profile. Now, the tables have turned because they have finally got the choice of being hired or becoming the hirer. The new India is looking forward to bringing their country in the world map as the fastest growing emerging economy in the world. People in India have variety in everything. Therefore, demand to purchase new amenities never goes down. Take for example clothing; there are many designer brands as well as local brands which are doing well without any glitches. Due to increasing population, the demand for basic amenities is parallelly rising. This situation gives a business an advantage to grow in their sector. A few decades ago, people were not very keen about leaving a high paid job and follow their desires in India, but now the tables have turned. A developing country which is a hub for around 19,000 start-ups is now emerging as the world’s third fastest growing start-up ecosystem.